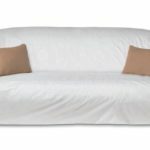 Are Bed Bug Proof Couch Encasements Worth the Investment? Bed bugs can be found anywhere in a home; however, the most likely places bed bugs are found are in mattresses, box springs, bed frames and couches. The living room or den is the place where families and friends congregate. Since we spend so much time on our couches, a blood meal is always available for a bed bug. Today, it’s not unlikely that bed bugs are often found in our couches. And since bed bugs don’t want to travel too far to get a blood meal, they will stay in the couch until no one sits there and when hungry will search for a meal. They smell the CO2 you breathe and come running. That is how they get from the couch to the bed -or- from the bed to the couch. Bed bugs will crawl to find you or cling to your clothes and “hitchhike” from room to room. Throwing Away Furniture is Not the Answer! One of the biggest regrets people have when finding bed bugs, is throwing their furniture away. Especially when they don’t have an infestation but only a few bed bugs. Replacement costs for a couch can range from $600 to $800 dollars or more! And if you do replace it without getting rid of all bed bugs, it too will get re-infested in a short time. So yes, investing in a bed bug proof couch encasement sure beats having to throw out expensive furniture! An introduction of a bed bug from a visitor or a recent trip is not an infestation. But, if you don’t eliminate the bed bugs quickly, and correctly, in a few months you could have many. Can bed bugs climb walls? If your seeing bed bugs climbing walls in or around your couch, easy chair or bed, either you’ve been spraying a pesticide or you have something more serious going on. Time is of the essence here. If you live in a shared wall environment like apartment or condominium, check with your neighbors to see if they have something going on in their unit. Bed bugs spread easily in these environments and if you suspect a bed bug infestation, a proper bed bug inspection must be done. Call your landlord or a bed bug exterminator and find out what you’re dealing with first. Don’t reach for a bed bug killer and take it on yourself. Dealing with bed bugs can be like taking a trip without a map, if you don’t know where you’re going, you’ll never get there! Save from Throwing Out Furniture! A lot of times, a pest control company will request that you throw out certain pieces of furniture. Not always is this necessary, especially if you can’t afford to replace it. So, let’s learn the difference between items that can potentially save your furniture from being tossed. Basically, they were all designed to serve the purpose of protection. Whether you call it a sofa or couch, they are made to protect the fabric from spills, stains and a multitude of other things. What Is A Couch, Sofa or Slipcover? The elastic on the bottom holds it in place. They are easily taken off and replaced when they need to be washed. NOT a good bed bug couch cover. What Is A Bed Bug Couch Encasement? A couch encasement is like furniture bags for bed bugs that encases and seals the whole couch so things can’t get in. And in the case of bed bugs, they can’t get out. What Does A Couch Encasement Do? 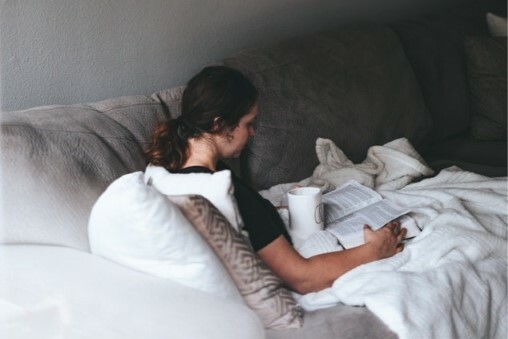 First, it protects your couch from allergens, micro toxins, dust mites, drink spills, food stains, bugs, diaper changes, dog and cat hair and other things. Even ants! It works much like bed bug bed covers  or a bed bug mattress cover  would. Nothing can get in or on your furniture or on you. Provides instant relief against bed bug bite symptoms, adult bed bug bites and baby bed bugs! They lock in any existing allergens, bed bugs and bed bug eggs while preventing new infestations. Will keep furniture clean and protects against infestations if you store it. Takes away bed bug hiding and breeding areas by covering seams, cushions, piping, pillows and any crack or crevice. Saves you from throwing out your furniture providing financial relief for you. 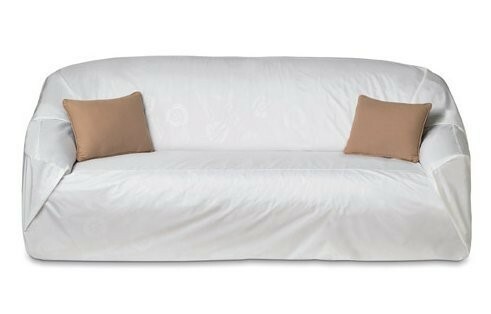 Since chemical resistance is now an issue and bed bug eggs may still remain, the bed bug sofa cover locks them in until they die. Bed bugs can be extremely difficult and costly to remove from upholstered furniture, they are often suggested by a bed bug exterminator after a bed bug treatment. When you have bed bugs, they are used to seal them in so they can’t get out and eventually die. It doesn’t stop you from introducing bed bugs. Anyone can get bed bugs at any time. But if you notice a bed bug and are concerned you have more, it will lock them in and they will starve to death. This helps so they don’t spread to other parts of the room or environment. You Have Bed Bugs in Your Couch – What Now? Grab yourself a Bed Bug & Allergen Blocking Sofa Encasement ! They are easy to install and bedbugs can’t get in or out! To speed up the process: It’s not ABC pest control. You have to pay attention to what you are doing. Getting to all those “hiding places” with spray chemicals is not healthy to even try. Purchasing the book, “How to Get Rid of Bed Bugs on a Tight Budget”  will walk you through each step of elimination the safe way. If you have a more serious infestation and can’t afford a bed bug pest control company, you can place Nuvan Strips  inside the encasement to fumigate the bed bugs dead. (always follow manufacturer’s safety directions). Or, you can use Cimexa  inside the frame under the couch and under cushions in the corners. When bed bugs crawl over the dust, it desiccates or dries them out within a short time. Cimexa, used by many professionals, is also used in electrical outlets, baseboards and other cracks and crevices in furniture, window frames and carpet edges. It provides a protective barrier for any bug that may find its way into your home through wall voids, foundation openings or cracks in and around windows and door frames. I hope this has helped you and even though we always recommend using a professional to eliminate bed bugs, but not always can people afford to do so.